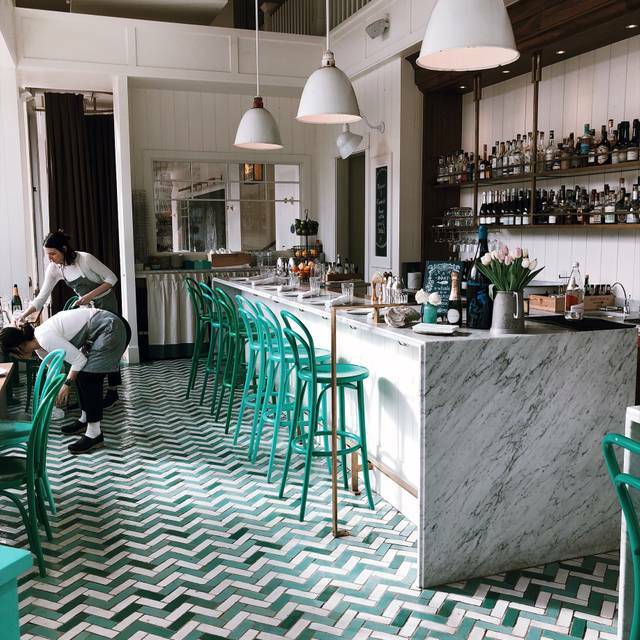 Bar Melusine is a French-Atlantic fusion restaurant that offers a casual, chic atmosphere and a menu that focuses on seafood. The restaurant frequently hosts events for diners such as educational classes. Come in for happy hour and dinner at Bar Melusine. The menu at Bar Melusine changes every single day to take complete advantage of seasonal ingredients. Meals often include oysters in a cucumber and lemon sauce, Manila clams with purple potatoes, smoked leg of lamb and buckwheat crepes filled with smoked ham and camembert. Don't leave without trying the apple butter cake or the canel de Bordeaux with an ounce of dark rum. *consuming, raw, undercooked, or unpasteurized foods may increase foodborne illness risks/menu items may contain nuts and other allergens/please let us know if you are allergic to anything. 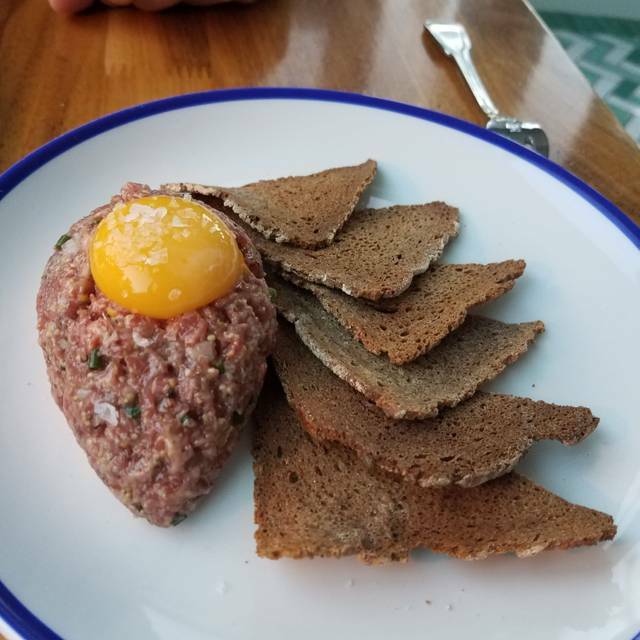 thank you for dining at bar melusine! Very delicious oysters and knowledgable staff. We loved the burger as well! We had some dietary restrictions at our table, an I was disappointed that the staff was not flexible. For example, one person was gluten free and asked for a hamburger patty on a salad. The staff refused. That seemed pretty basic to me. I also had told them it was a birthday before arriving, and they did not acknowledge it. It was disappointing. Great salmon and oysters!! Wine list pretty good. Love Bar Melusine! 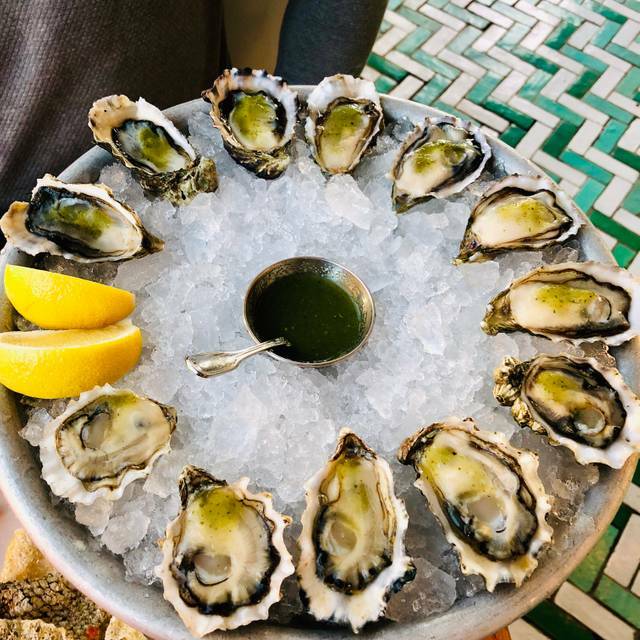 This is a regular go-to for delicious flavors, drinks and of course the oysters!! We have been for dinner several times and really enjoyed the food ambiance and service. 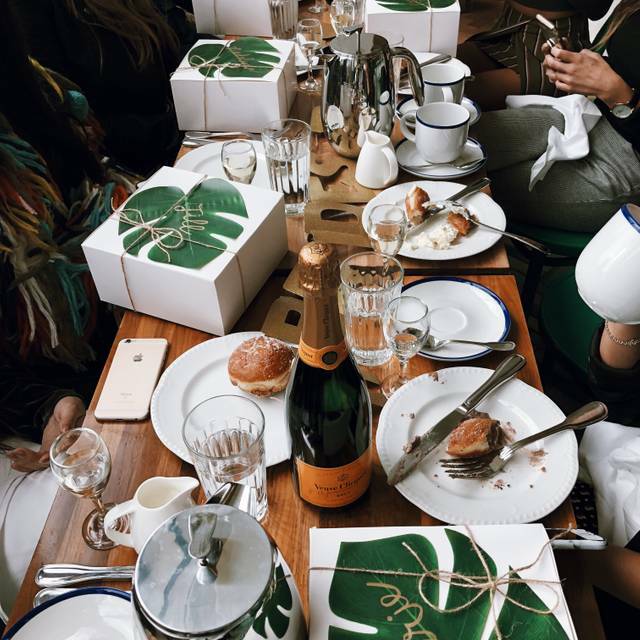 This time we went for brunch and were equally impressed. Oysters were great as well as were the buckwheat crepes. Service was outstanding. My expectations were high, but Bar Melusine delivered on every level. Truly one of the best restaurant meals I've had in the last year (maybe even THE best). Excellent on all fronts. The ferry from Bainbridge Island was running 30-40 minutes late. When I called to let the restaurant know the gentleman serving the front desk was understanding and assured our table would be ready. It was. All our entrees were delightful and delicious. Such a wonderful combination of flavors that made each entree unique and memorable. Service fantastic. Just the right amount of attention and patient in answering our questions. Food came out prompt and proper temperature. We will come back again and enthusiastically recommend Bar Melusine to anyone. Beautiful place and restaurant. Oysters were great ! Exceptional food and service! Both their seafood and meat dishes were outstanding. Would go back in a second! Food was good. The service was poor. We were totally ignored by our waitress to the point of needing to wave her down just to get more water after having ran out for 15 minutes. Service qualities appears to depend on who your server is. Excellent service! I was there on a Tuesday night and I forget who our server was but he was extremely helpful and informative. Oysters were fantastic, drinks were phenomenal! I visited here last night with my husband. We liked all the food but it was a little bit pricy since this place is a casual, not a fine dining. 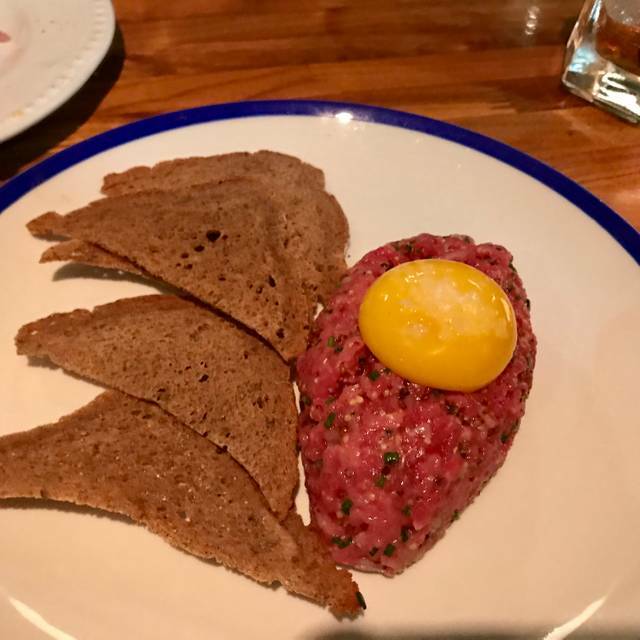 We ordered a dozen oysters, steak tartare, lamb, crab cake, two cocktails and one glass of white wine. Everything ended up around $180. Oysters were fresh and good but costed about $50. The lamb was the best out of all the food we ordered. It was perfectly smoked and the sauce was great with the lamb slices. All the food was great except the crab cake. The crab cake was very small and only one piece costed $25. I wouldn't recommend the crab cake. IMO, it's not worth $25. They serve good food but small portion at a high price. The atmosphere is good but casual. I would go back here for a dinner but would go back for a small bites. The best oysters in town. Period. 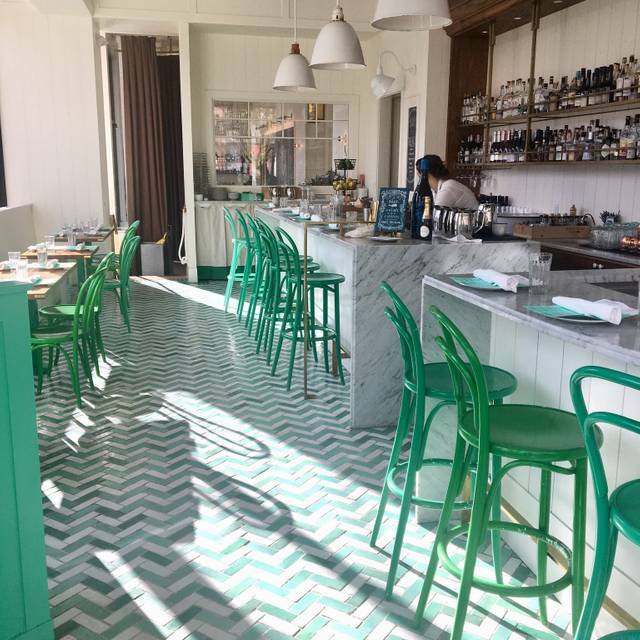 Love the cucumber mignonette, the green bar stools, the tiles and the octopus was outstanding. Also, the brunch is terrific! 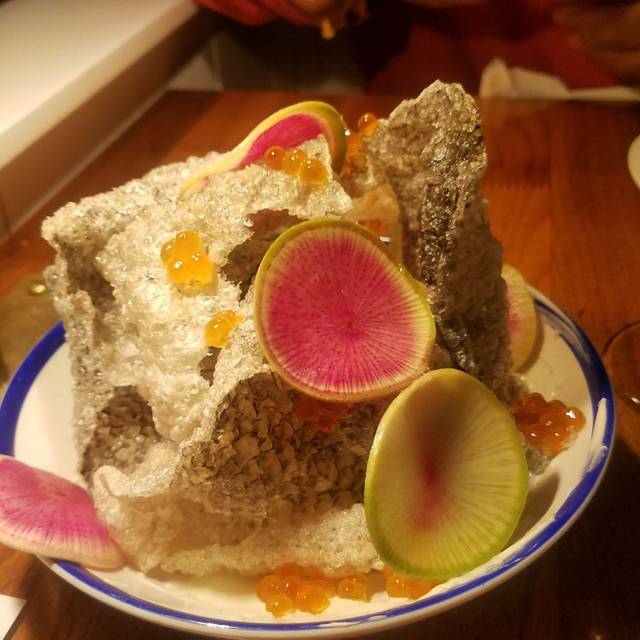 Unique small plates that were great to try but expensive. I would recommend for a date but not for a meal to fill your belly. I have loved Bar M prior. This evening it was sparse (snow) but service was perfunctory and missing. The food wasn’t great. We ordered two very expensive crab cake orders and they were too salty, almost inedible. Sauce they were on wasn’t special. We spent a lot of money (ordered a lot) but were underwhelmed. My husband doesn’t want to go back. Disappointing! Food + service were excellent. I was pretty disappointed with Bar Melusine, which is too bad because I love their other restaurants. I hadn't tried it before for some reason or another, even though I had been really eager about trying it. I love the look and the menu always looks great. Honestly, my disappointed was completely due to the service. Our waitress forgot 2 drinks, these were for the same person in our party even though it was clear everyone else had a drink each time. This seems like it would have been an easy problem to catch, especially since it was only wine and not a cocktail. She forgot both of our orders of bread twice, we asked a third time. We ended up asking the final time for bread after our meals were completely finished as we were still hungry. She also completely forgot to an order an entree for our party. Lastly, when I went to use the restroom, there were no paper towels. One or a couple of these misses seems reasonable even though our party was only 6 people and it wasn't a terribly busy night, but this many was conspicuously terrible. She wasn't really even that friendly, which I don't care about but sometimes help with below average service. Our tab ended up being over $400, which was well worth the quality of the food IF the service was even close to average. Wonderful dinner with family and old friends with excellent service and wonderful fresh, locally sourced ingredients shared by all. We ate here on a very quiet night so the space lacked vitality. It also felt like a space for lighter/warmer weather. But the food was great, especially the oysters. The vegetarian side dishes were excellent as well. The fries were not my favorite type: way too thick and big. Lots of delicious small plates. Wow, what a nice dinner. Loved the prawns, clams, bread, and beets! My husbands' favorite was fried fish skins. Thank you for the great service. Have bene here once before to celebrate my boyfriend's birthday and we went back for happy hour with friends- AMAZING! The $1 off oysters led to a feast of delicious slurps. Always stoked about Bar Melusine! We loved our evening!!! The food and service were fantastic! Love this place. Food & service is both spot on. This is our second time here & we can’t wait to come back. Loved the crab cake, burger, Frites (best Frites in Seattle), Coroque Madame but everything we had was SO good! Highly recommend. Attentive service and somewhat creative menu. Not worth the price. 20% service charge on all items. Unfortunately we went on Halloween and only received tricks. 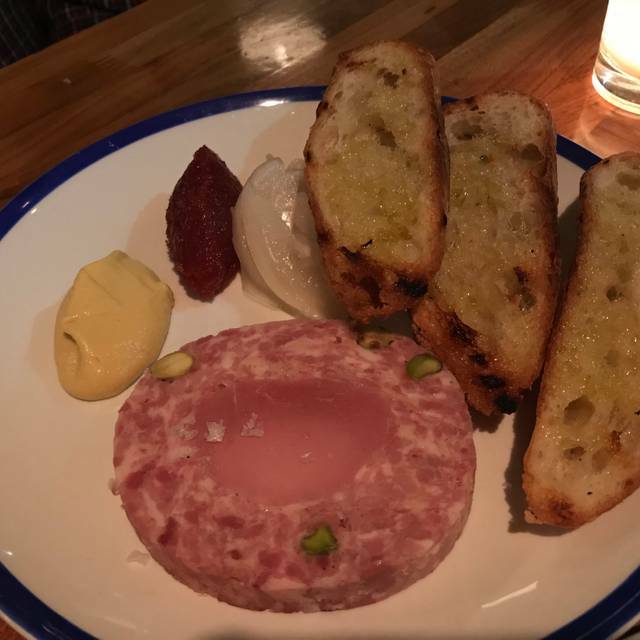 We had been to Bar Melusine before and had a wonderful experience, but this time was truly terrible. Only good food was what did not come out of the kitchen, raw oysters. Roasted carrots cold and extremely under cooked, lobster mushroom crepe cold(out of fridge) with Luke warm filling. Service was also lacking, not enough diners = bored and unengaged servers. Want to go back since the first time was so good, but still hurting from this experience. The service was great, but the plates were small and way overpriced for what you got. The food was good, but nothing spectacular. The place itself is very cute. Courtney and team were excellent. Went out of their way to make our experience memorable. The food was sublime, every single dish delivered. The muscles were wonderfully done along with the crab cake. Drinks were a bit sweet but were still very well made. We went for the oysters (which were outstanding - Baywater Sweets are our favorite) and found the food to be equally superb! Everything about the restaurant is excellent. I don't think I've ever written a bad review before, but my dinner experience tonight was truly lackluster. I was greeted by a lovely hostess, who also took my drink and oyster order when, 10 minutes after sitting, no one had approached me. 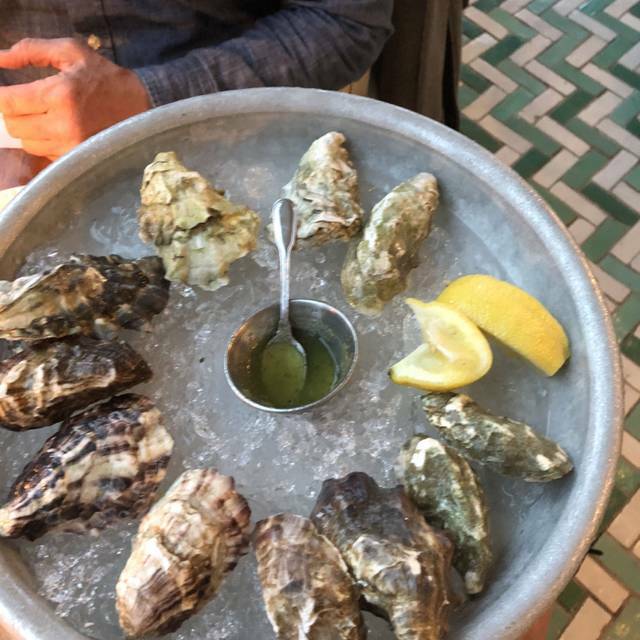 No other waiter spoke to me for 30 minutes after that, until one gentleman told me my oysters should be over soon and they would comp them due to the long wait. I took this opportunity to order the rest of my meal. After another bit of a wait, I was then asked if I wanted to move, as I was sitting in the back of a restaurant with a large party. I agreed, as I thought it might make for a better experience. The only other communications I had with waitstaff after the move were to bring me the rest of my food order I placed when oysters arrived/order a glass of wine and to bring me the check, also telling me a glass of wine would be comped for moving me and the craziness of the night. Upon receiving my check, the comped oysters I was promised were still billed, though the wine was not on the bill. Of the hour and 20 minutes I was there, an hour of it was spent waiting for waitstaff. I will say, the oysters were excellent and the smoked mussel tartine was delicious. However, I don't think I've ever been so forgotten in a restaurant before. Great ambiance and food, let down only by the inattentive service (on a slow night).